Order A Signed Copy Of VoiceMates Now! 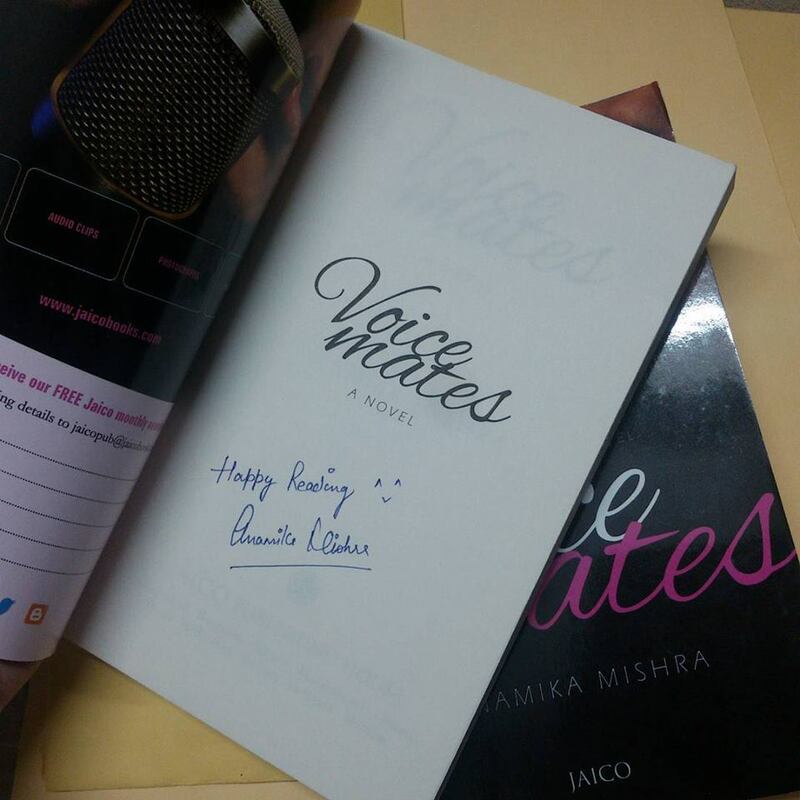 As you all know then my newest novel VoiceMates is up for grabs now, I started getting queries from readers who wanted to order special signed copies. So, here I am… to assist you with this (again)! By the way, I just came back from a near by courier office. I am done with sending the first set of signed copies. These copies were for the readers who pre-booked VoiceMates via emails and messages. I will revert with the payment options and other details as soon as I get your email. Please note that due to high no. of emails I get, response to your email could get delayed. And yes, don’t forget to post your selfie with my book once you get it and do tag me in the pic! I would love to see your smiling face with my VoiceMates! P.S: Limited no. of copies available! Order now!